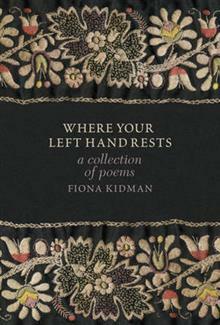 It's been 35 years since Dame Fiona Kidman's first book of poems was published, and now she is back with another, perfectly timed for her 70th birthday in March 2010. There has been renewed interest in her poetry since the recent publication of her memoirs, and this exquisitely p... read full description below. 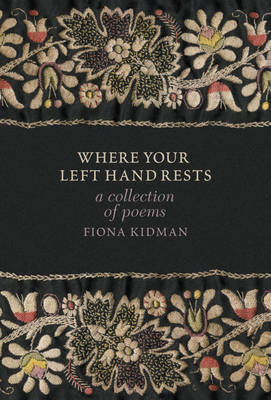 It's been 35 years since Dame Fiona Kidman's first book of poems was published, and now she is back with another, perfectly timed for her 70th birthday in March 2010. There has been renewed interest in her poetry since the recent publication of her memoirs, and this exquisitely packaged collection will not disappoint. Ranging over wide territory, from imagining her Irish grandmothers' arrival in New Zealand, to wearing Katherine Mansfield's shawl, to time spent in Greece and in her garden, the poems are by turns tender and funny, candid and brave. They bear all the hallmarks of Kidman's writing: acute observation, a telling eye for detail, a wry humour and great empathy. Fiona Kidman has written more than twenty books, mainly novels and collections of short stories. Her most recent novel, The Captive Wife, was a joint winner of the Readers' Choice Award and a finalist for the Deutz Medal for Fiction at the 2006 Montana New Zealand Book Awards. The Trouble with Fire has been shortlisted for the 2012 NZ Post Book Awards and the Frank O'Connor Short Story Award. She has been awarded a number of prizes, honours and fellowships, including the Mobil Short Story Award, the Victoria University Writers Fellowship, and the OBE for services to literature. In 2006 she was the Meridian Energy Katherine Mansfield Fellow in Menton, France. In 2008 she was the Creative New Zealand Michael King Fellow. Fiona Kidman is a Dame Commander of the New Zealand Order of Merit, a Chevalier de l'Ordre des Arts et des Lettres, and a Chevalier of the French Legion of Honour. She lives in Wellington.